Please join us Tuesdays and Wednesdays for hip-hop line dancing fitness classes. Classes are free and open to the public. Click here for additional information. Through the use of evidence-based strategies and interventions, Healthy Jacksonville works in a collaborative effort to influence the social determinants of health and move Duval County toward achieving health equity. Healthy Jacksonville values building strategic partnerships across a variety of sectors. In order to build healthy communities, we must work together across disciplines and sectors to improve the health of everyone in Duval County. Where we live, work, learn, and play significantly impacts our health and well-being. The social determinants of health most closely tied to health outcomes include income, employment, education, and other socio-economic opportunities. People tend to live longer, healthier lives when they live in neighborhoods that make the healthy choice the easy choice. A place based approach to chronic disease prevention and health promotion focuses on creating healthy neighborhoods so that all residents have the opportunity to reach their full health potential. 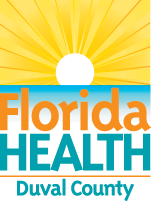 Not everyone in Duval County has the same opportunity to live a long, healthy life. For example, residents of Health Zone 1 (Urban Core) live on average 4-9 years less than residents of other Health Zones in Duval County. When building a community in which all residents can achieve optimal health, it is important to focus on populations with higher rates of preventable health conditions and on neighborhoods with fewer opportunities for good health. Addressing the root causes of poor health, such as social, economic, and environmental factors, ensures that all people have the same opportunity to reach their full health potential. Healthy Jacksonville works to improve the health of all residents of Duval County by focusing on initiatives that advance health equity, adopt a place based approach, and build strategic partnerships.